Located in Kingstown, 13 km from Port Elizabeth, Blue Lagoon Hotel and Marina Ltd features a restaurant and free WiFi throughout the property. The hotel has an outdoor pool and year-round outdoor pool, and guests can enjoy a meal at the restaurant. 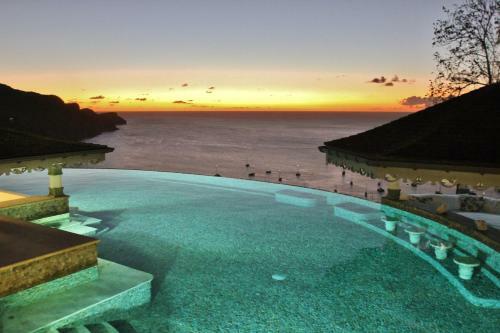 Offering an outdoor pool and year-round outdoor pool, Lime House Villas is set in Port Elizabeth in the Bequia Region. Free private parking is available on site. There is a seating and/or dining area in some units. 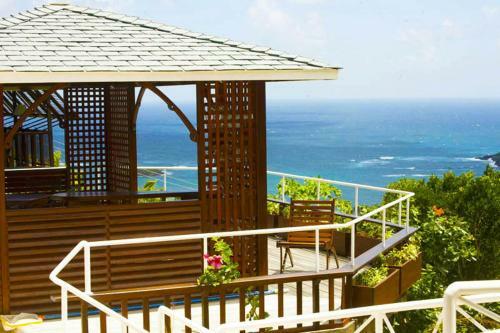 Situated on 8 tropical acres, this Saint Vincent hotel overlooks the Caribbean Sea and offers a private beach equipped with a bar. Rooms feature cable TV and air conditioning. 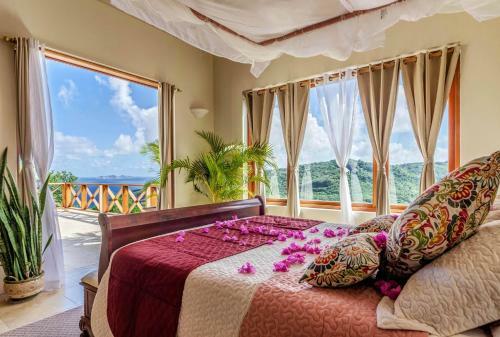 Featuring a private beach and concierge services, this beachfront hotel is 3 km from Bequia Airport. 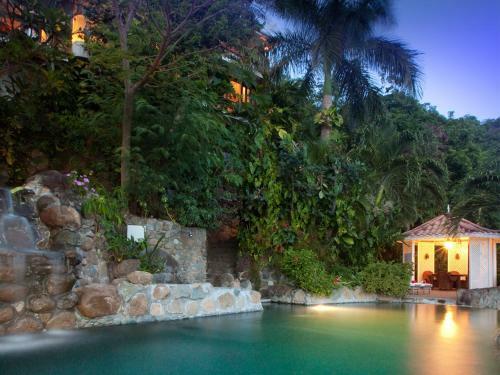 It offers villas with free Wi-Fi, a complete kitchen, and a private balcony. 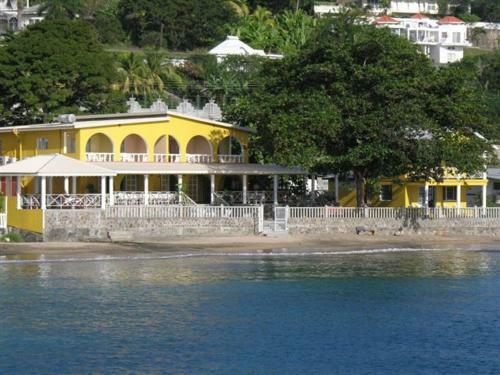 Offering a large outdoor pool and restaurant with meals cooked by order by our resident chef, Spring House Hotel Bequia is located on the outskirts of Port Elizabeth. Free WiFi is included. 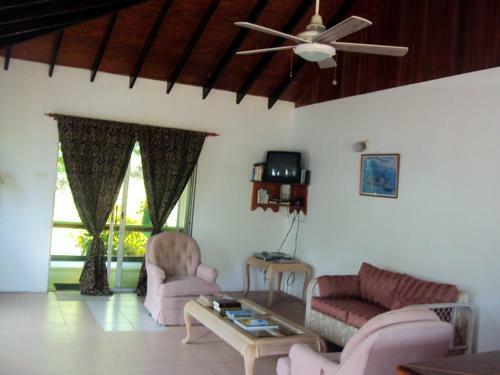 This Ribishi Hotel Alexandrina is located off Windward Highway 6.5 km from E.T. Joshua Airport. Features include an outdoor pool, full-service spa, and free WiFi. Hotel Alexandrina apartments and suites have a full kitchen and a dining area. Located 1 km from sandy beaches and the Caribbean Sea, this St. Vincent hotel offers free shuttle service from E.T. Joshua Airport. It features an on-site restaurant and free Wi-Fi. 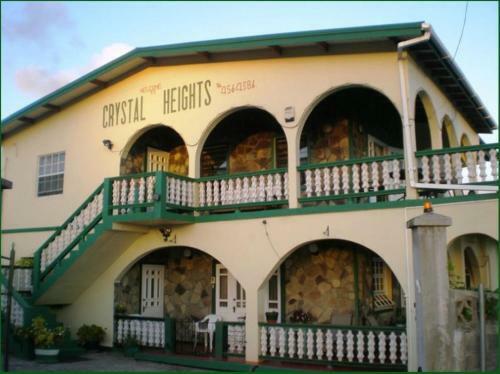 Crystal Heights Guest House is located in Kingstown, a 5-minute walk from the beach. This family-run guest house features a large outdoor terrace and free WiFi throughout. Located in Port Elizabeth, this holiday home features a terrace and a garden with an outdoor pool and a sun terrace. 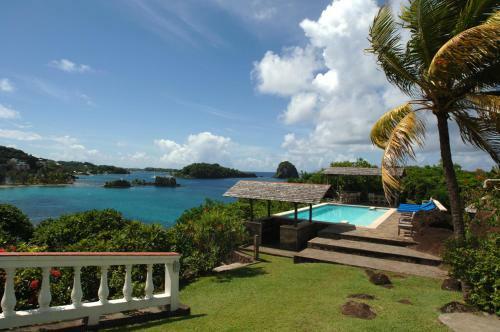 The unit is 32 km from Bequia. Free WiFi is provided . A dishwasher and an oven can be found in the kitchen. Paradise Beach Hotel is a property set amidst a tropical garden that features a sun terrace, plus an on-site bar. The well illuminated rooms at this hotel feature ocean views, air conditioning and cable TV. The private bathroom comes with a shower. Featuring free WiFi throughout the property, Firefly Hotel Mustique offers accommodation on Mustique Island. The hotel has an outdoor pool and views of the sea, and guests can enjoy a meal at the restaurant. Free private parking is available on site. 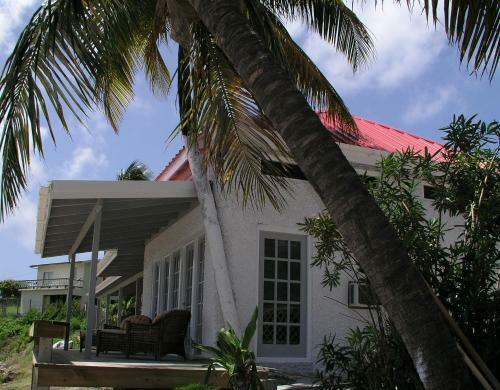 Friendship Garden Apartments is a self-catering accommodation located in Bequia, a 3-minute walk from Friendship Bay Beach and a 15-minute drive from Port Elizabeth. Free WiFi access is available. Offering an outdoor swimming pool, a garden and barbecue facilities, Tropical Hideaway is located in Bequia, 1.6 km from the beach. Free WiFi access is available all areas. The apartments will provide you with a TV and air conditioning. 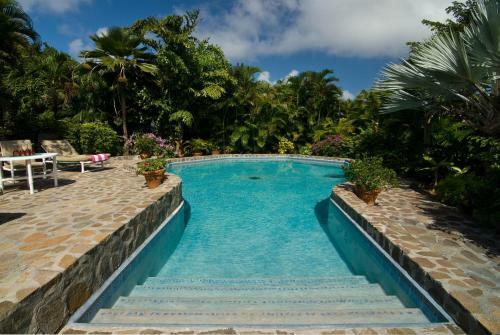 Located in northern Bequia, this stylish 7-bedroom villa offers an outdoor pool and a furnished sun terrace with island and ocean views. Sadewa Villa has a fully equipped modern kitchen. 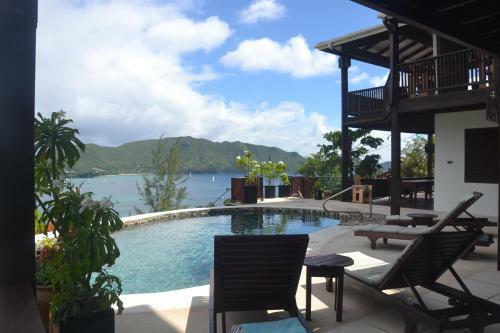 Offering a year-round outdoor pool and a private beach area, Tranquility Villa is located in Derrick in the Bequia Region, 47 km from Palm Island. Port Elizabeth is 6 km away. Free WiFi is available . All units include a seating area.